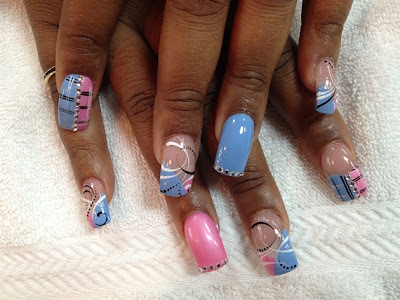 I've got another wonderful Nail Diva for you today. She goes by the name Ruby, but her formal name is Nga Huynh. 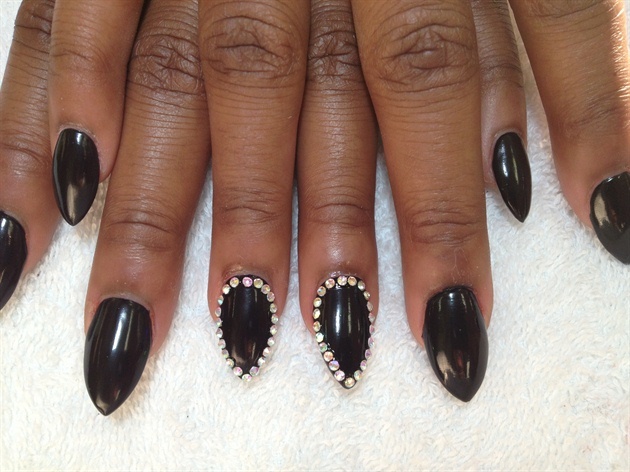 She's a nail technician who has been working in St. Paul, Minnesota at "Chicago Nails" for the past 6 1/2 years. She's Vietnamese and got into nails for a variety of reasons including being able to feel comfortable with other Vietnamese co-workers, the quickness of being able to be licensed (3 months of training + licensing) and that there were plenty of salons hiring in her area. Ruby says that she did pretty standard nails up until 2009 when she worked at a salon called "TJ Nails". 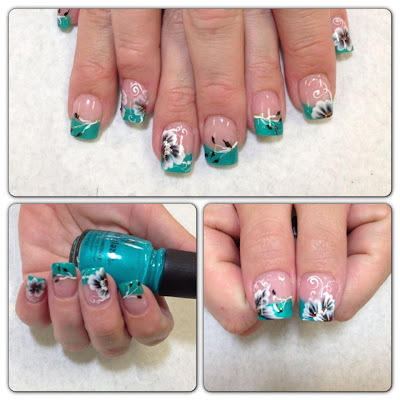 95% of her clients at this particular salon wanted acrylic nails with every finger being a different design, so she had lots and lots of practice and opportunity to do artistic nails. 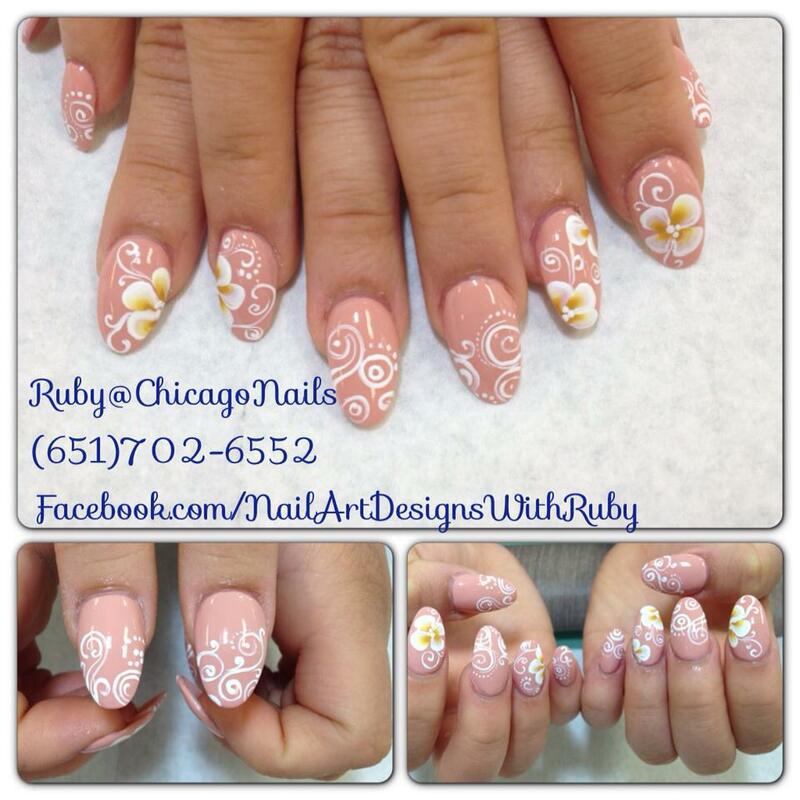 When she started working at "Chicago Nails" she got the opportunity to improve her marketing and social networking skills. She's grown and improved in so many ways in the last 6 1/2 years and loves to share her hobby with everyone! Specifically her favorite are to do is freestyle art, marbling, 2D and 3D flowers. She'd like to improve on animal and illustration art. She does all typles of salon services and does not have a favorite to do. She loves to work with OPI, Color Club, and China Glaze because of their quality and bright colors. Also she loves doing water marbling with Orly nail polishes. 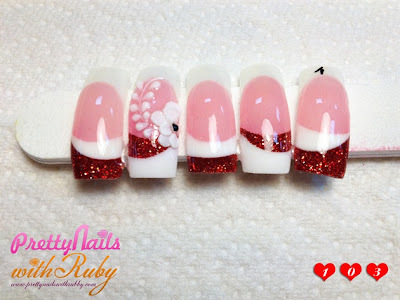 If you like the photos in this blog feature, please go visit Ruby's Facebook page or Nail Magazine's Nail Art gallery to see more of her fantastic work. And a huge Thank You to Ruby for allowing me to do this blog feature, you were a pleasure to work with and feature!